Its week 3 of the “One Room Challenge” and probably the most difficult week for me. I had some unexpected personal matters that put a damper on my desire to work. So, the only thing I was able to accomplish was painting the walls. I started off prepping the walls by sanding everywhere that needed Spackle. Then I painted the shiplap which took longer than planned. The easiest part of the room was painting the grey walls. I think it took me about 1 hour compared to all day for the shiplap. But the painting is done! I hope this coming weekend I’ll be able to get done. I still have so much left on my list. Add a faux Ship-lap wall in white to all walls. I only plan to make it 1/2 the wall. Paint the rest of the room grey. Possibly paint a accent wall with a fun pattern. Join me next week for more progress on my Rustic Glam Nursery. Thank you to my amazing sponsors for my Rustic Glam Nursery. Finally make sure to check out the other featured Designers HERE, along with the linking participants HERE. The shiplap is looking good, you have accomplished so much. I am so impressed with how the colors are evolving. The teal is absolutley beautiful for a nursery. Painting is always the most tedious part of a makeover, I find. Glad yours is mostly done! Courage! Your baby’s nursery is going to be adorable. FYI be sure to anchor your Malm Dresser, Ikea will give you a free anchoring kit. 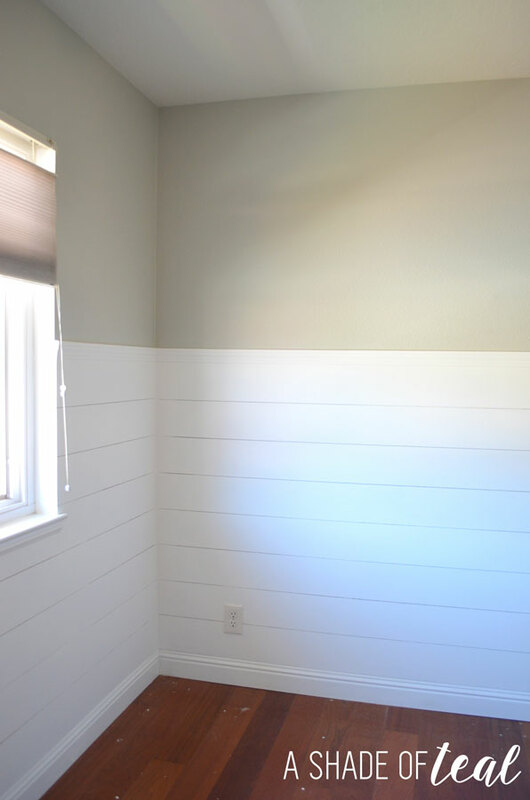 That shiplap is amazing! You did such a fantastic job — it’s already looking so cozy. 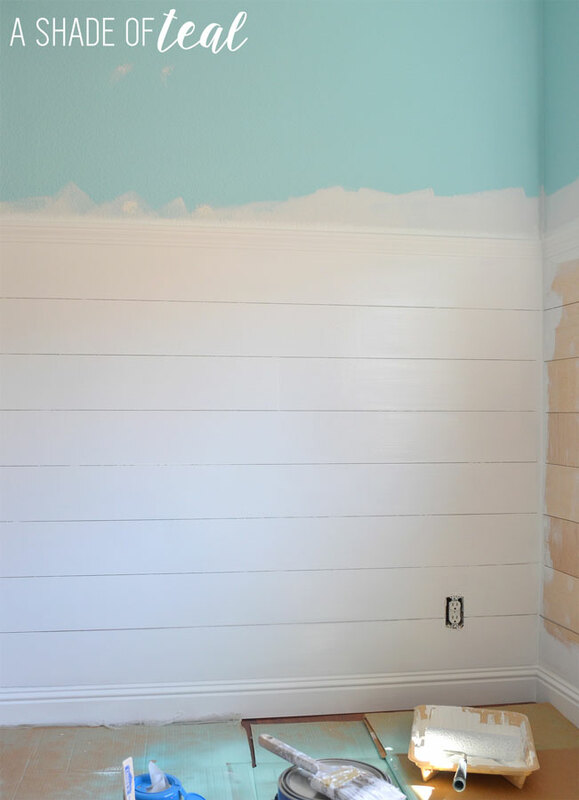 The shiplap looks so amazing!! It was definitely worth all the time you put into it!! 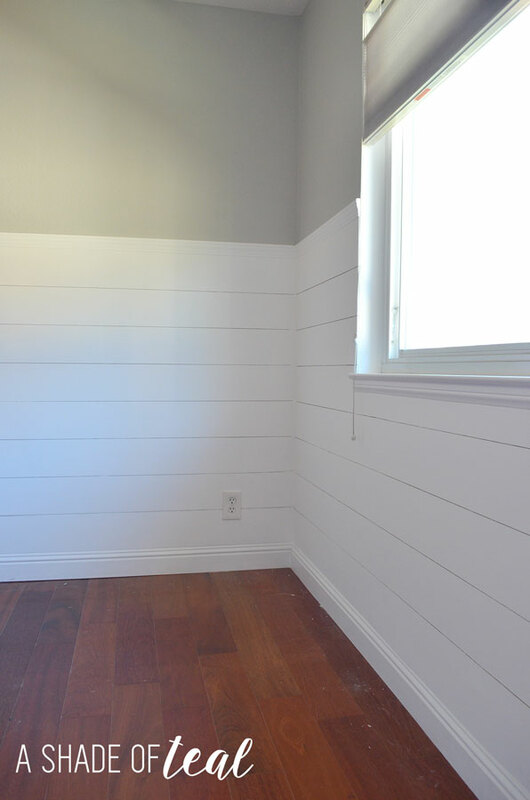 The shiplap looks beautiful! I love that you did a half wall too. Your room is really coming along! Looks great, and I hope all your personal stuff is easing up. The great thing about painting is that it does make a HUGE difference! Can’t wait to follow the rest of the progress! Its coming together beautifully. What a lovely nursery it is going to be. 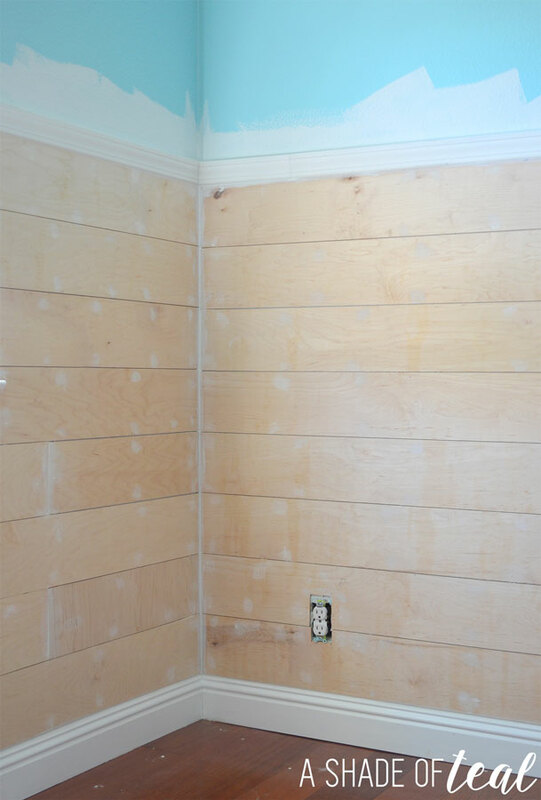 LOVE how the shiplap looks with just the lower half of the wall. I haven’t seen that done before. It looks fantastic! Hi! Looks great! What grey paint color did you use? Thanks! I used Valspar Notre Dame.